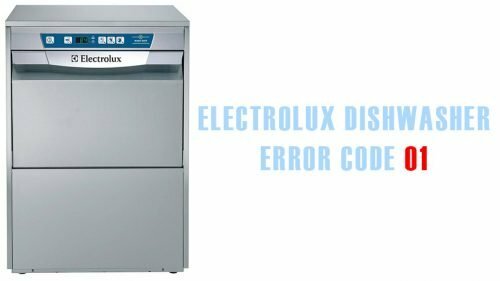 When the Electrolux dishwasher displays I10 error, the END indicator may flash as well – once with a break of several seconds. What does it mean? The cause of the code on the display is the problem with water draining or filling. You may have incorrectly connected to the water pipe or violated the rules of operation. For example, you forgot to clean the plates of food residues before putting them in the Electrolux dishwasher – food particles got into the drain filter and clogged the system. Therefore, the dishwasher may display error 10. It is important to carry out a preventive cleaning of the drainage once or twice a month. The correct location of the inlet hose (there should be no kinks). Is the error on the display again? It is time for a minor repair. inspect it for debris, and also clean the flow filter. Now you need to clean the drain system. Maybe it is blocked by a foreign object. In addition, you need to inspect and clean the drain pipe and check the sewage system connection point. If the intake and drain systems are OK, then you need to move on to the pressure switch – its electronic part is checked by a multimeter. In case of malfunction, the part must be replaced.